Two niches with six figures cut in rock in high reliefs were uncovered during a survey carried out by a Swedish archaeological mission from Lund University inside two New Kingdom Egyptian chapels named Chapel 30 and 31. Minister of Antiquities Mamdouh Eldamaty described the discovery as “important," as the Gebel Al-Silsila area was completely covered with sand and block ever since it was hit with a destructive earthquake in antiquity. Erosion elements have also impacted the area and its monuments. 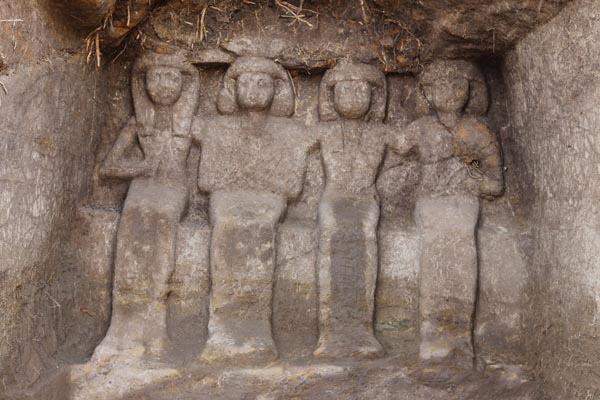 Mahmoud Afifi, the head of the Ancient Egyptian Antiquities Department, told Ahram Online that the first niche was found at the end of Chapel 30 and bears two figures depicting the chapel’s owner and his wife sitting on a chair. The man is wearing a shoulder-length wig and is assuming the Osirian posture where his arms are crossed on his chest. The woman is putting her left arm on the shoulder of her husband while her right hand is on her chest. 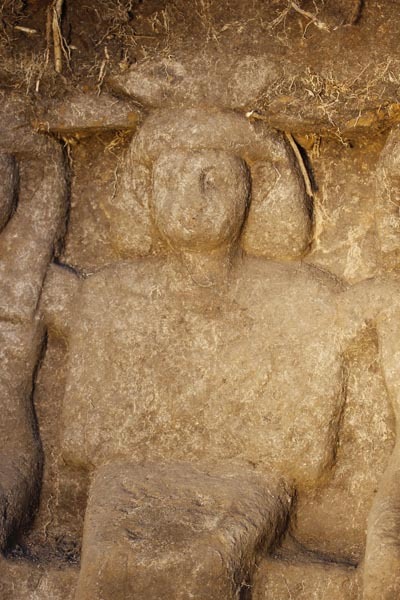 The second niche, said Afifi, was found in Chapel 31 and includes four figures. The first depicts the owner of the chapel Neferkhewe, who was the 'Overseer of Foreign Lands' during the reign of King Tuthmose III. The second figure is of his wife Ruwisti, while the third and fourth are of his son and daughter. The Swedish mission has been working in Gebel Al-Silsila’s 32 chapels since 2012. The most well preserved is Chapel 31 as it still holds its complete architectural elements. Gebel Al-Silsila (Chain of Mountains) was known in ancient times as Kheny, meaning the “Palace of Rowing,” and extends from Kom Ombo to Edfu where the River Nile narrows and high sandstone cliffs come down right to the water’s edge. 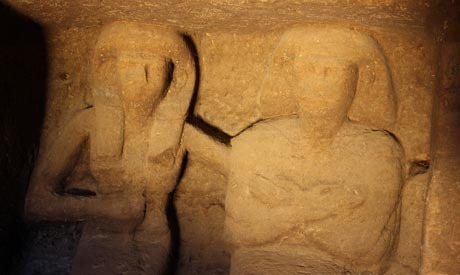 The area was used as a quarry site since at least the 18th dynasty up to the Graeco-Roman era. Ancient Egyptians had carved small shrines into the cliffs, dedicating them to a variety of Nile deities and to the river itself. Smaller shrines were cut by King Thutmose I, Hatshepsut and Thutmose III, while Horemhab had constructed a rock-cut temple where many kings of the 19th dynasty or later left their mark in some way. Gebel Al-Silsila became an important cult centre, and each year at the beginning of the season of inundation, offerings and sacrifices were made to the gods associated with the Nile to ensure the country’s wellbeing for the coming year.